For the last year or so, I’ve seen the big bow shoe pop up while scrolling through Facebook. I’d stop scrolling to check them out constantly, but wasn’t sure if I really liked the ginormous bow. A couple months ago, I saw them online at DSW and almost ordered, but when I realized the fuschia was really red, I passed. Then one day I happened to be looking on hautelook.com and saw them, and for an unbeatable price! So, I just had to order! I went with taupe, but now I wish I had gotten them in black and royal blue too! The ginormous bow isn’t as big as they looked online, so I was pleasantly surprised! I love them! And they’re quite comfy…I think, just got them yesterday, so I’ve only worn them around the house. 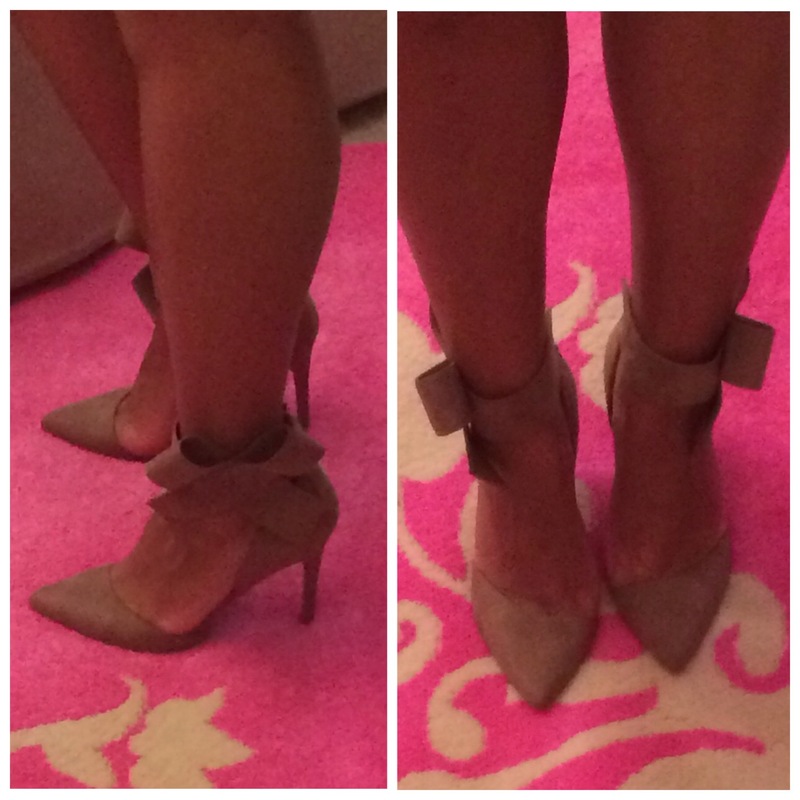 If you’re on the fence about this shoe, just get them already, trust me, you’ll love them too! If you’re unfamiliar with Hautelook, it’s a Nordstrom company, so the quality is awesome! You can even make returns at your local Nordstrom Rack. I’ve been thrilled with all of my purchases and the prices have been awesome! My big bow shoes were around $20! The only thing is, you have to buy when you see it, because once it’s gone it’s gone and there’s no guarantee the item will come back. And it takes a few weeks after you order to get your items, but so far everything I’ve ordered was worth the wait! Do you shop Hautelook? What are some of your fab finds? LOVE! Love the color also!